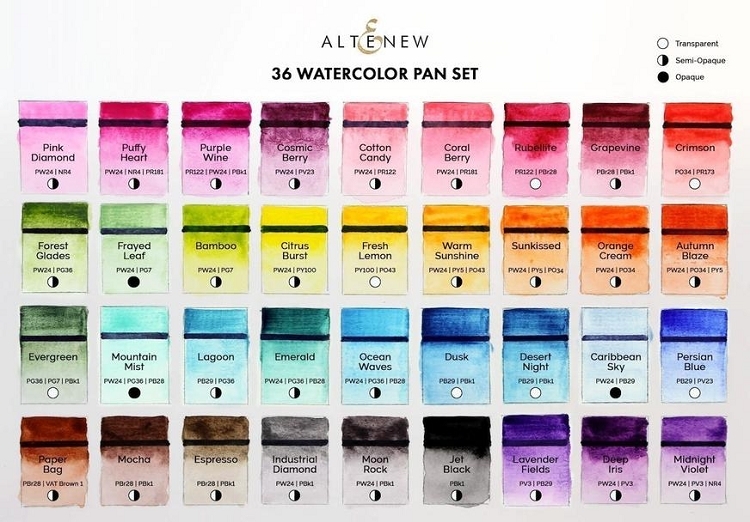 This beautiful set of 36 vibrant watercolor half-pans coordinates perfectly with Altenew inks. They are intensely pigmented, fade minimally when drying, and some colors have lovely granulating effects. 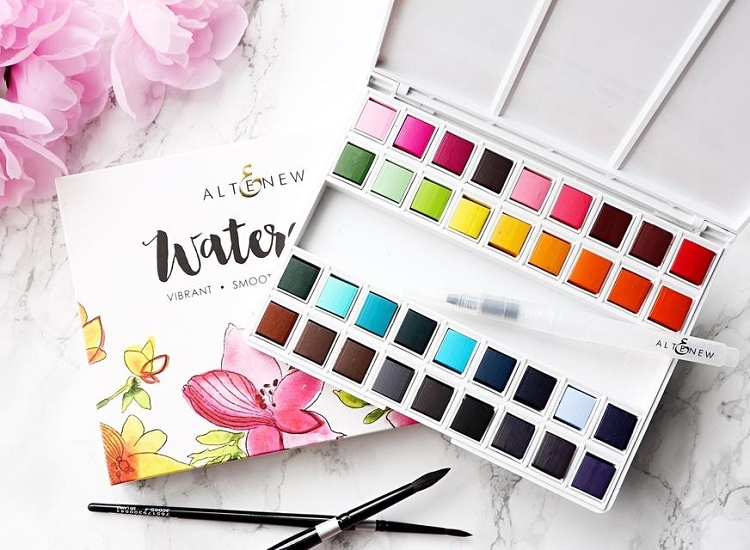 They are stored in a convenient plastic case, designed with space for your brush (included) and a palette in the lid for mixing.